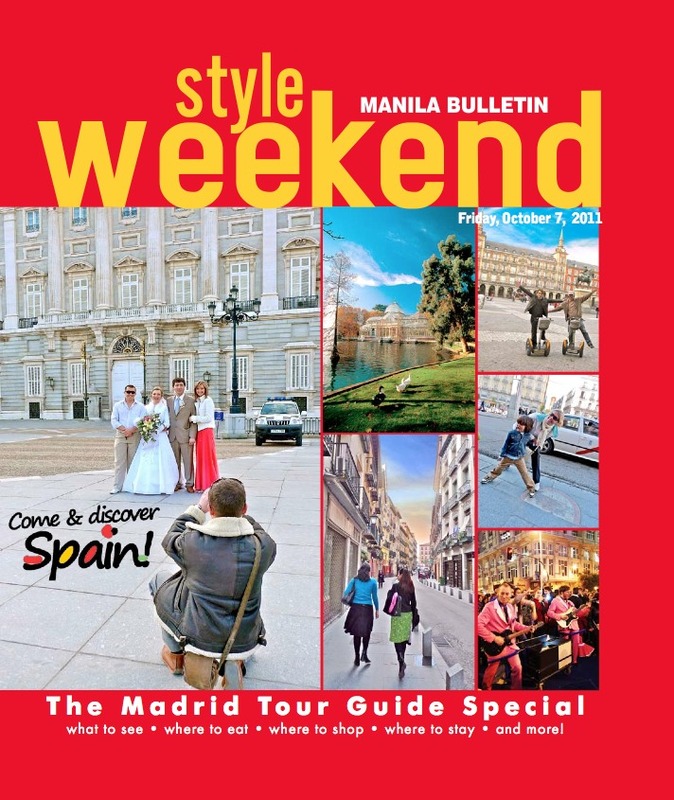 pls buy manila bulletin today (oct 7) for your free copy of style weekend! 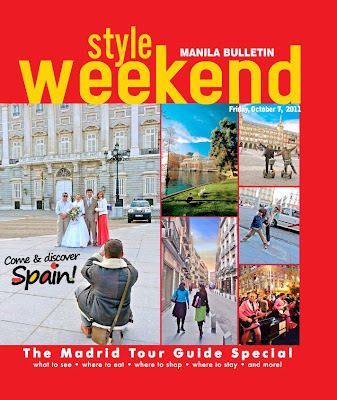 it's the madrid tour guide special! just in time for spain's national day on oct 12. your guide to what to see, where to eat, where to hang out, where to shop, where to stay, and where to go for day trips outside madrid. a keeper!